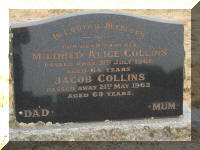 Mildred Alice Day was born on 13 Jan 1897 in Sheffield and was buried on 31 Jul 1961 in Ulverstone, Tasmania. Mildred married Jacob Collins, son of Edward Collins and Harriet De Graaff, on 13 Mar 1918 in New Presbyterian Church, West Kentish. 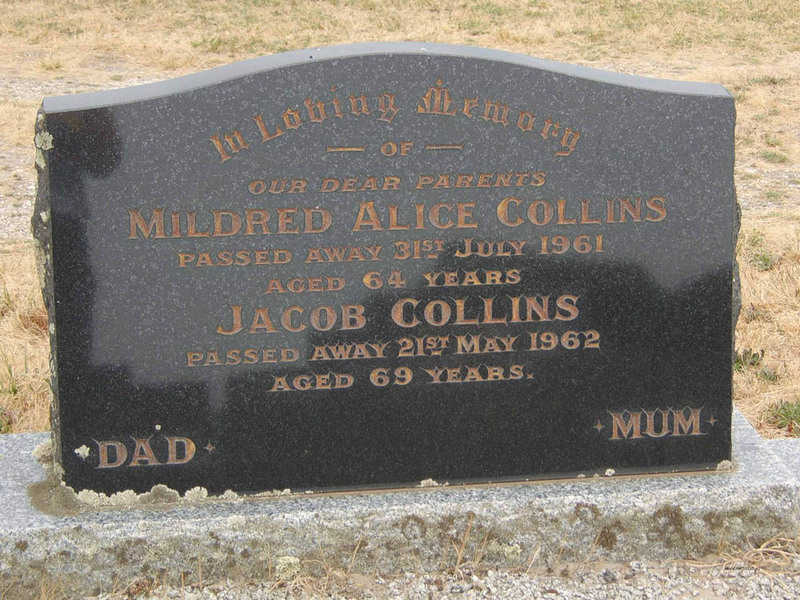 Jacob was born on 31 Dec 1892 in Carisbrook, Victoria, died on 21 May 1962 in Western Australia (in an aircraft) at age 69, and was buried in May 1962 in Cremated in Fremantle and ashes interred at Ulverstone General Cemetery. 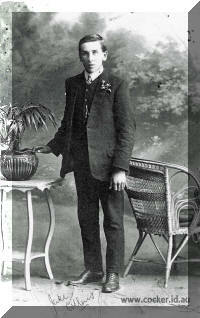 4-Albert George Edward Collins was born on 3 Oct 1918 in Sheffield. Albert married Mavis Daphne Dyson, daughter of Owen Charles Dyson and Margaret Prudence Gardiner, on 12 Apr 1941 in Ulverstone, Tasmania. Mavis was born on 19 Nov 1917 in Ulverstone, Tasmania, died on 15 Sep 2002 in Labrador, Gold coast at age 84, and was buried on 4 Oct 2002 in South Stradbroke Island (ashes scattered). They had four children: Gaye Suzanne, Desmond John, Russell David and Craig Edward. 5-Gaye Suzanne Collins was born on 29 Oct 1945 in Ulverstone, Tasmania, died on 3 Jan 2006 in Hopewell Hospice Arundle Queensland at age 60, and was buried on 9 Jan 2006 in South Stradbroke Island (ashes scattered). Gaye married Denzil Reginald McCulloch, son of Reginald Albert McCulloch and Dorothy Belbin, on 20 Apr 1967 in Holy Trinity Church, Ulverstone, Tasmania. Denzil was born on 1 Feb 1938. They had two children: Allison Maree and Rebecca Jane. 6-Allison Maree McCulloch was born on 22 Nov 1967 in Devonport. Allison married Mark Inness, son of John Inness and Unknown, in Hervey Bay Queensland. They had three children: Cameron Craig, Emily Jane and Gregory John Albert. 7-Cameron Craig Inness was born on 1 Feb 1989 in NSW. 7-Emily Jane Inness was born on 19 Sep 1991 in Maryborogh, Queensland. 7-Gregory John Albert Inness was born on 9 Apr 1994 in Maryborogh, Queensland. 6-Rebecca Jane McCulloch was born on 12 Oct 1971 in Devonport. Rebecca married Philip Alnutt, son of John Alnutt and Unknown, on 6 Jan 2006 in Tambourine Mountain, Queensland. Gaye next married Ian Miller in 1987 in Broadbeach, Gold Coast. Ian was born in Victoria. 5-Desmond John Collins was born on 21 Sep 1946 in Ulverstone, Tasmania and died on 26 Mar 2011 at age 64. Desmond married Sandra Hunt. They had three children: Melisssa, Stuart and Peter James. 6-Melisssa Collins was born on 21 Feb 1975 in Queensland. 6-Stuart Collins was born in Queensland. 6-Peter James Collins was born in Queensland. 5-Russell David Collins was born on 17 Mar 1948 in Ulverstone, Tasmania. Russell married Nerida Joy Conn, daughter of Unknown and Thora Conn, on 11 Jan 1974 in Victoria. They had three children: Stephen David, Angela and Timothy. 6-Stephen David Collins was born on 23 Jan 1977 in Carlton? Kew Victoria. Stephen married Greer Paterson, daughter of Robert Paterson and Carole, on 25 Feb 2005. Greer was born on 17 Jul 1979 in Kew, Victoria. 6-Angela Collins was born on 29 Dec 1978 in Kew, Victoria. 6-Timothy Collins was born on 5 Jun 1980 in Kew, Victoria. 5-Craig Edward Collins was born on 6 Jun 1950 in Ulverstone, Tasmania. Craig married Kathy. Craig next married Sylvia. They had two children: Nathan and Bianca. 6-Nathan Collins was born in 1981 in Queensland. 6-Bianca Collins was born in 1987 in Queensland. Craig next married Dianne Miller on 1 Jan 2007 in Fraser Island, Queensland. Dianne was born in New Zealand. 4-Gwendoline Myrtle Collins was born on 15 Apr 1921 in Sheffield. 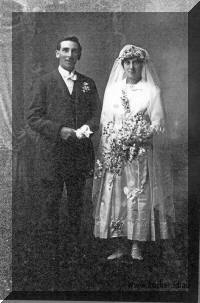 Gwendoline married Ernest Henry (Bill) Rockliff, son of Ernest Rockliff and Ann Ingram, in 1944 in Ulverstone, Tasmania. Ernest was born on 26 Aug 1908 and died on 18 Aug 1974 in Latrobe at age 65. They had four children: Faye, Ann, Stephen and Rendal. 5-Faye Rockliff was born on 8 Apr 1946 in Ulverstone, Tasmania. Faye married Ernest Kevin Bandfield on 26 Feb 1966 in Ulverstone, Tasmania. Ernest was born on 24 Nov 1942. They had three children: Lisa Michelle, Scott Matthew and Linda Fay. 6-Lisa Michelle Bandfield was born on 7 Aug 1969. Lisa married Anton William Usher on 18 Jan 1997. Anton was born on 10 Aug 1967. They had one daughter: Alexe Amelia. 7-Alexe Amelia Usher was born on 16 Jun 2004. 6-Scott Matthew Bandfield was born on 7 May 1972. 6-Linda Fay Bandfield was born on 14 Jun 1978. 5-Ann Rockliff was born on 23 Dec 1947 in Ulverstone, Tasmania. Ann married Ronald Clyde Lowry on 5 Sep 1970 in Ulverstone, Tasmania. Ronald was born on 24 Nov 1942. They had four children: Leanne Maree, Brett Christopher, Paula Janelle and Sharne Robyn. 6-Leanne Maree Lowry was born on 27 Feb 1971 and died on 10 Mar 1976 in Forth, Tasmania at age 5. 6-Brett Christopher Lowry was born on 31 Jul 1973. Brett had a relationship with Prue Clarke. They had one son: Toby. 7-Toby Lowry was born on 11 Oct 2004. 6-Paula Janelle Lowry was born on 22 Oct 1976. 6-Sharne Robyn Lowry was born on 22 Oct 1976. Sharne married someone. She had one daughter: Jedda leanne. 7-Jedda leanne Lowry was born on 24 Apr 2005. 5-Stephen Rockliff was born on 18 Nov 1952 in Ulverstone, Tasmania. Stephen married Jennifer Ann Beswick on 13 Jan 1974 in Ulverstone, Tasmania. The marriage ended in divorce. Jennifer was born on 9 Jan 1955. They had two children: Allison Louise and Lyndal Ann. 6-Allison Louise Rockliff was born on 11 May 1976. Allison married Dale Gleeson on 1 Feb 2007 in Gawler, Tasmania. 6-Lyndal Ann Rockliff was born on 19 Jun 1978. 5-Rendal Rockliff was born on 18 Nov 1952 in Ulverstone, Tasmania. Rendal married Roslyn May Bounds on 7 Dec 1974 in Deloraine, Tasmania. Roslyn was born on 23 Mar 1955. They had three children: Sally Therese, Claire Maree and James David. 6-Sally Therese Rockliff was born on 19 Mar 1976. Sally married Kirk Brodribb on 9 Mar 2002 in Hobart, Tasmania. Kirk was born on 18 Jul 1975. 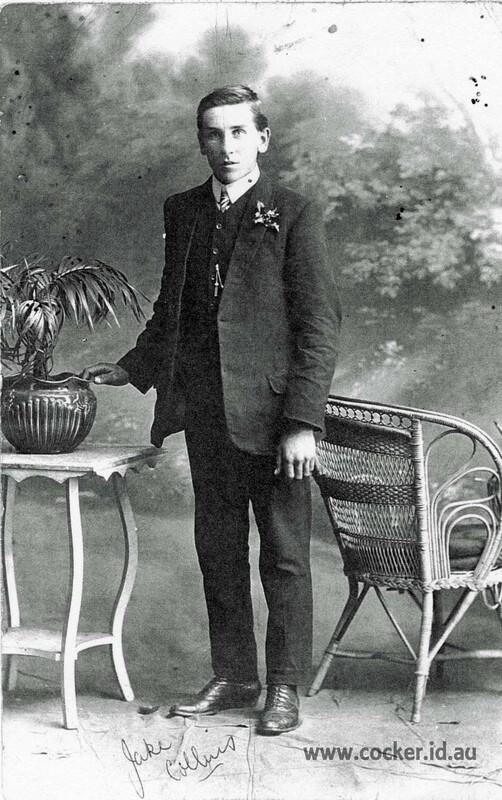 They had one son: Thomas Glenn Rendal. 7-Thomas Glenn Rendal Brodribb was born on 1 Mar 2006. 6-Claire Maree Rockliff was born on 23 Feb 1978. Claire married Tim Constantine on 23 Nov 2002 in Sydney, New South Wales. Tim was born 14 Mar ?. They had one son: Jack. 7-Jack Constantine was born on 23 Jan 2005. 6-James David Rockliff was born on 6 Apr 1982. Gwendoline next married Brian Cameron, son of Vernon Theodore William Cameron and Alice Maud Rowe, on 8 Feb 1975. Brian was born on 18 Nov 1927 and died on 1 Jun 2011 in Mersey Hospital Latrobe at age 83. 4-Rendal Max Collins was born on 28 Jul 1924 in Ulverstone, Tasmania and died in Aug 2011 at age 87. Rendal married Beverley Jean Symonds, daughter of Ralph Eugene Symonds and Bertha Irene Chaplin, on 16 Mar 1946 in St. John's Church of England, Launceston. Beverley was born on 5 Oct 1922 in Launceston. They had four children: Gregory, John Rendal, Suzanne Jeanette and Robert Ian. 5-Gregory Collins was born on 9 Nov 1947 in Launceston. Gregory married Jane Elizabeth Henderson, daughter of Stuart Henderson and Marie Ethel Leake, on 25 Mar 1972 in St Andrews Perth, WA. Jane was born on 8 Feb 1953 in Perth, Western Australia. They had three children: Trent Gregory, Scott Mathew and Benjamin John. 6-Trent Gregory Collins was born on 27 Mar 1974 in Launceston. Trent married Tipsukon Kaewkam on 1 Apr 2009 in Peppermint Grove Beach WA. Tipsukon was born in Thailand. Another name for Tipsukon is Eve. 6-Scott Mathew Collins was born on 20 Dec 1976 in Mt Lawley, Western Australia. 6-Benjamin John Collins was born on 8 Oct 1978 in Duncraig, Western Australia. Gregory next married Geraldine Hogen-Esch, daughter of Roelf Hinderikus Hogen-Esch and Wilhelmina Groenendijk, on 16 Dec 1990 in Perth, Western Australia. Geraldine was born on 20 Mar 1955 in Armadale, Western Australia. They had one son: Samuel Jake. 6-Samuel Jake Collins was born on 20 May 1991 in Subiaco, WA. 5-John Rendal Collins was born on 14 Oct 1949 in Launceston. John married Janice Mary Colvin, daughter of John Colvin and Edith Edel, in 1983 in Perth, Western Australia. Janice was born on 5 Feb 1947 in Western Australia and died on 8 Apr 1989 in Perth, Western Australia at age 42. They had one daughter: Jessica Mary. 6-Jessica Mary Collins was born on 16 Feb 1981 in Subiaco, WA. Jessica married Damon Ferguson, son of Aaughan Robert Ferguson and Janet Gilfillan, on 1 Dec 2007 in St Columba Church WA. Damon was born on 30 Jan 1982 in Mt Lawley, Western Australia. 5-Suzanne Jeanette Collins was born on 6 Sep 1952 in Launceston. Suzanne married Loukas Karakyriakos, son of Emmanuel Karakyriakos and Evangelia Stamatious, on 15 Apr 1995 in Wesley Uniting Church Perth Western Australia. Loukas was born on 13 Oct 1950 in Greece. 5-Robert Ian Collins was born on 26 Sep 1954 in Launceston, died on 8 Jan 1971 in Schouten Island, Tasmania at age 16, and was buried on 12 Jan 1971 in Carr Villa Rose garden B25/39. 4-Peggy Eileen Collins was born on 25 Jan 1927 in Ulverstone, Tasmania. Peggy married John Glenister (Jack) Stratton, son of Gordon Bernard Fossey (Vern) Stratton and Edith Elizabeth Sharpe, on 30 Oct 1948 in Ulverstone, Tasmania. John was born on 18 Oct 1916, died on 29 Sep 1980 in Ulverstone, Tasmania at age 63, and was buried in Ashes interred at Penguin, Tasmania. They had five children: Christine Elizabeth, Peter John, Philip Glenister, Janet Evangeline and Anthony James. 5-Christine Elizabeth Stratton was born on 3 Sep 1949 in Ulverstone, Tasmania. Christine married Raymond Golder, son of Arthur Golder and Lucy, on 14 Feb 1970 in Ulverstone, Tasmania. Raymond was born on 9 Nov 1944. They had two children: Cathryn Louise and Andrew Robert. 6-Cathryn Louise Golder was born on 27 Feb 1971 in Devonport. Cathryn married Michael Salkeld on 17 Aug 1991. The marriage ended in divorce on 5 Oct 2000. Michael was born on 19 May 1973. They had no children. Cathryn next married Alan Ronald Jones, son of Ronald Jones and Pat, on 7 Jun 2003 in Caldicott Castle, Wales. Alan was born on 16 Jul 1966 in Newport, Wales. They had two children: Ashlin Lily and Meghan Alisa. 7-Ashlin Lily Jones was born on 27 Oct 2003 in London Hospital, England. 7-Meghan Alisa Jones was born on 27 Nov 2004 in London Hospital, England. 6-Andrew Robert Golder was born on 5 Sep 1972 in Devonport. Christine next married Ian Wallace, son of David Wallace and Isabelle, on 4 May 1996 in Blairgowrie, Scotland. 5-Peter John Stratton was born on 15 Aug 1951 in Ulverstone, Tasmania, died on 15 May 1996 in Burnie, Tasmania, Australia at age 44, and was buried in Ashes scattered on Leven River. Memorial plaque at Central Coast Cemetery, Penguin, Tasmania. Peter married Suzanne Louise Mead, daughter of Lancelot Stewart Mead and Merle Joyce Smith, on 2 Jan 1971 in Methodist Church, Ulverstone, Tasmania. Suzanne was born on 5 Feb 1949 in Launceston and died about Jun 2011 aged about 62. They had three children: Stuart John, Daniel Glen and Michael. 6-Stuart John Stratton was born on 2 Jun 1972 in Devonport. Stuart had a relationship with Alexandra McLachlan. Alexandra was born on 7 Mar 1973 in Hobart, Tasmania. They had one daughter: Samantha Louise. 7-Samantha Louise Stratton was born on 9 Dec 1990 in Burnie, Tasmania. Stuart next had a relationship with Karen Ann King. Karen was born on 16 Oct 1969. They had one son: Corey. 8-Corey Stratton was born on 3 Oct 1994 in Burnie, Tasmania, Australia. 6-Daniel Glen Stratton was born on 20 Apr 1976 in Devonport and died on 22 Jan 2011 in King Island at age 34. Daniel married Joanne Evelyn Weekes, daughter of Anthony Weekes and Suzanne, on 28 Nov 1998 in Burnie, Tasmania. The marriage ended in divorce pre 2007. Joanne was born on 14 Oct 1977 in Burnie, Tasmania. They had one son: Peter Anthony. 7-Peter Anthony Stratton was born on 13 Mar 2001 in Burnie, Tasmania, Australia. 6-Michael Stratton was born on 11 May 1978 in Savage River. 5-Philip Glenister Stratton was born on 9 Oct 1952 in Ulverstone, Tasmania, died on 3 Mar 1991 in Oakville, Canada at age 38, and was buried in Ashes scattered on Leven River. Memorial plaque at Central Coast Cemetery, Penguin, Tasmania. Philip married Brenda Hopkins, daughter of Unknown and Elenor, on 9 Mar 1985 in Oakville, Canada. Brenda was born on 29 Dec 1951 in Canada. They had one son: John Brady. 6-John Brady Stratton was born on 2 May 1987 in Canada. 5-Janet Evangeline Stratton was born on 17 Feb 1954 in Ulverstone, Tasmania. Janet married Brentleigh Mead, son of Lancelot Stewart Mead and Merle Joyce Smith, on 29 Jul 1978 in George Town, Tasmania. Brentleigh was born on 7 Dec 1952 in Launceston. They had three children: Nicholas Lance, Glenn Stewart and Laura Merle Eileen. 6-Nicholas Lance Mead was born on 29 Jun 1981 in Launceston. 6-Glenn Stewart Mead was born on 19 May 1983 in Launceston. 6-Laura Merle Eileen Mead was born on 19 May 1985 in Burnie, Tasmania. Laura married someone. He had one daughter: Charlotte Eva. 7- Charlotte Eva was born on 31 Jan 2008 in Burnie, Tasmania, Australia. 5-Anthony James Stratton was born on 3 Mar 1960 in Ulverstone, Tasmania, died on 9 Dec 1997 in Victoria at age 37, and was buried in Ashes scattered on Leven River. Memorial plaque at Central Coast Cemetery, Penguin, Tasmania. Another name for Anthony was Tony. Anthony married Paula Bernadette Tompkinson, daughter of Ronald Tompkinson and Joyce McManus, in 1985 in Levenside. Paula was born on 27 Jun. 4-Margaret Ivy Collins was born on 17 Nov 1928 in Ulverstone, Tasmania. Margaret married Ross Pearson, son of James Pearson and Jean, on 22 Nov 1952. The marriage ended in divorce in 1962. Ross was born in Upper Castra, Tasmania. They had no children. 4-Patricia Mildred Collins was born on 12 Aug 1930 in Ulverstone, Tasmania. 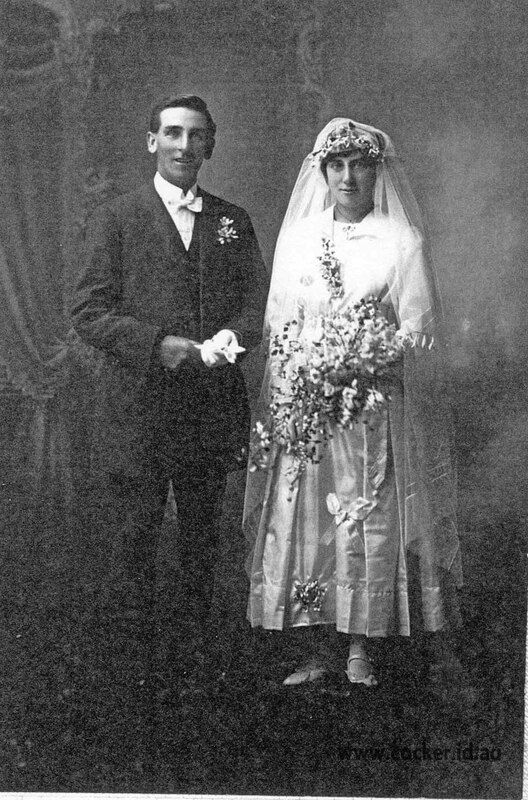 Patricia married David Hearnden McCormack, son of Albert James McCormack and Winifred Ruth Charlton, on 4 Apr 1953 in Gospel Hall, Ulverstone, Tasmania. David was born on 24 Aug 1928 in Launceston and died on 22 Apr 2001 in Hawley, Tasmania at age 72. They had six children: John C., James Albert Hearnden, Mark Keverall, Timothy Lloyd Hearnden, Christopher David Hearnden and Gillian Ruth Mildred. 5-John C. McCormack was born on 9 Jan 1954 in Launceston. John married Cathryn Ruth Aldridge, daughter of Pastor David Aldridge and Ruth, on 13 Jan 1979 in Baptist Church, Burnie, Tasmania. Cathryn was born on 28 Jun 1955 in Bayer River New Guinea. They had four children: Amy Ruth, Phillipa Cathryn, Felicity Susan and Rachel Clare. 6-Amy Ruth McCormack was born on 4 Oct 1981 in Hobart, Tasmania. Amy married Anthony Edler, son of Simon Edler and Jane, on 10 Feb 2008 in Hobart, Tasmania. 6-Phillipa Cathryn McCormack was born on 12 Mar 1984 in Hobart, Tasmania. Phillipa married Robert Meijers, son of Sweis Meijers and Margaret, on 25 Jul 2008 in Melbourne, Victoria. Robert was born in Hobart, Tasmania. 6-Felicity Susan McCormack was born on 22 May 1987 in Hobart, Tasmania. Felicity married Dylan Graham, son of Robert Graham and Helen, on 24 Nov 2007 in Hobart, Tasmania. 6-Rachel Clare McCormack was born on 27 Sep 1989 in Hobart, Tasmania. 5-James Albert Hearnden McCormack was born on 14 Nov 1955 in Launceston. James married Susan Elizabeth Hay, daughter of Andrew Hay and Elizabeth, on 8 Jan 1987 in Hobart, Tasmania. Susan was born on 14 Dec 1961. They had two children: Alexandra Jessen and Evelyn Taylor. 6-Alexandra Jessen McCormack was born on 30 Sep 1989 in Canberra, Australian Capital Territory. 6-Evelyn Taylor McCormack was born on 19 Mar 1992 in Hobart, Tasmania. 5-Mark Keverall McCormack was born on 26 May 1957 in Launceston. Mark married Sandra Yolande De Haan, daughter of Michael De Haan and Nellie, on 4 Feb 1984 in Latrobe. Sandra was born on 14 Oct 1959. They had four children: Jesse David Thomas, Kate, Reuben Jacob and Johanna Grace. 6-Jesse David Thomas McCormack was born on 19 Sep 1991 in Devonport. 6-Kate McCormack was born and died on 19 Sep 1991 in Devonport. 6-Reuben Jacob McCormack was born on 28 Sep 1993 in Devonport. 6-Johanna Grace McCormack was born on 11 Dec 1995 in Latrobe. 5-Timothy Lloyd Hearnden McCormack was born on 15 Dec 1959 in Launceston. Timothy married Karen Anne Sellers, daughter of Unknown and Petronella, on 5 Dec 1988 in Hobart, Tasmania. Karen was born on 24 Jul 1964. They had three children: Miriam Elisabeth, Jacob Albert Hearnden and Digory Joseph Finbar. 6-Miriam Elisabeth McCormack was born on 8 Sep 1982 in Melbourne, Victoria. 6-Jacob Albert Hearnden McCormack was born on 17 Dec 1995 in Melbourne, Victoria. 6-Digory Joseph Finbar McCormack was born on 24 Oct 2001 in Melbourne, Victoria. 5-Christopher David Hearnden McCormack was born on 17 Jan 1962 in Ulverstone, Tasmania. Christopher married Heidi Meier, daughter of Franz Meier and Heidi, on 3 Apr 1993. Heidi was born on 19 Dec 1961 in Switzerland. They had two children: Angus Samuel Bach and Bryn Elliot Hearnden. 6-Angus Samuel Bach McCormack was born on 24 Feb 1996 in Katoomba, Victoria. 6-Bryn Elliot Hearnden McCormack was born on 21 Feb 1999 in Katoomba, Victoria. 5-Gillian Ruth Mildred McCormack was born on 31 Aug 1967 in Launceston. Gillian married Phillip Wright, son of Barry Wright and Nancy, on 8 Jan 1988 in Geelong, Victoria. Phillip was born on 26 Mar 1961. They had three children: Bronte Ruth, Mathew Thomas McCormack and Madeline Patricia Elizabeth. 6-Bronte Ruth Wright was born on 1 Sep 1992 in Melbourne, Victoria. 6-Mathew Thomas McCormack Wright was born on 31 Jul 1996 in Melbourne, Victoria. 6-Madeline Patricia Elizabeth Wright was born on 1 Dec 1997 in Melbourne, Victoria. 4-Peter John Collins was born on 23 May 1934 in Ulverstone, Tasmania. Peter married Noni Margaret Vaughan in Sydney, New South Wales. Noni was born on 26 Jan 1933 in Gordon, New South Wales. They had three children: Geoffrey Bruce, David John and Sallyanne. 5-Geoffrey Bruce Collins was born on 23 Jul 1959 in Footscray, Victoria. 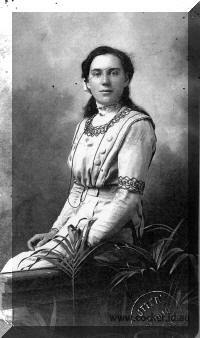 Geoffrey married Felicity Irene Ridgley. Felicity was born on 11 Aug 1951 in Plymouth, Devon UK. They had two children: Marc Peter and Matthew. 6-Marc Peter Collins was born on 9 Aug 1982 in North Sydney, NSW. 6-Matthew Collins was born on 14 Aug 1990 in Bruce, Australian Capital Territory. 5-David John Collins was born on 27 Dec 1960 in Box Hill, Victoria. 5-Sallyanne Collins was born on 19 Jun 1965 in Gosford, New South Wales. Sallyanne married Geoff. Geoff was born in Burnie, Tasmania, Australia.